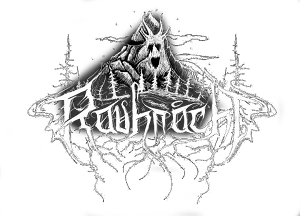 RAUHNÅCHT is a dark journey through deep forests and misty mountains, full of Alpine Battle Hymns and grim Martial Anthems for mountain trolls. "Vorweltschweigen" (means: silence of the ancient world) is deeply engrained in alpine mysticism, ancient pagan rites and heathen legends around strange fairies and wild folks. This sinister album entrains you to arcane mountains, dark chasms and gloomy underwood and guides you to the most secret places in the very depth of the holy Central European Alps, where wild hunters meet creepy creatures from dusk til dawn. "Vorweltschweigen" is your personal soundtrack for misty autumn evenings and will be your closest friend in dark and frosty winter nights! "Vorweltschweigen" is completely based on the lyrics and sounds of STURMPERCHT, the legendary creators of Alpine Folk music. ABM is based on the atmosphere of early Norwegian Black Metal, but dealing with alpine and celtic mythology, philosophy and tradition. ABM contains a large variety of (ancient) traditional acoustic instruments from alpine/celtic areas, such as the Alphorn, the Teufelsgeige, hunter's trumpets and other obscure alpine instruments, as well as organic/natural field-recordings from black forests, craggy mountains and dark caves. RAUHNÅCHT is the name for the twelve nights between 24th december and 6th january, where the demons of winter and the Perchten celebrate their Wild Hunt through hidden alpine villages and forests.